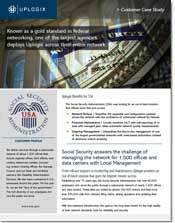 For federal agencies and the military, network security is a constant challenge. Add on providing high service levels at remote locations—whether it’s a lights-out data center, a regional office, or a remote battlefield—made tougher by the lack of onsite IT support staff to monitor, troubleshoot and fix network problems when they occur. Traditional management tools rely on the network to manage network devices, making it costly and time-consuming. Uplogix solutions deliver the local access and control of a console server, the in-depth monitoring and diagnostics of systems management software, and the intelligence of an on-site technician into a single, integrated platform. The result is the secure out-of-band management required to operate today’s complex and distributed federal infrastructures. 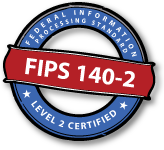 Uplogix provides solutions for federal networks with products that are FIPS-140-2 certified. For more information, reference Certificate #2140. FIPS requirements include both hardware and software components and a validation program to ensure that federal agencies and departments are using secure systems and networks. With mission success increasingly dependent on network availability and performance, it is absolutely necessary to protect the underlying network and IT infrastructure from security threats. The out-of-band perspective of Uplogix makes it an efficient platform for day-to-day management of networking and communications devices. Functionality includes making configuration changes (the most frequent cause of downtime) reliable with an automated roll-back when problems occur, increased security & compliance through logging of all user interactions and device responses, and better performance & availability by monitoring SLAs from the perspective of the end user. 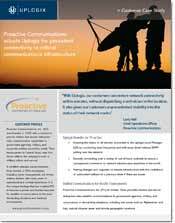 When there are problems and the network goes down, Uplogix serves as an automated lifeline, either restoring network connectivity, or by providing secure out-of-band access and a local “toolbox” for experts in the NOSC to speed remote troubleshooting. Security & Compliance | Highly configurable and granular role-based administrative access with flexible password rules, multi-factor authentication and TACACS and RADIUS integration. Role-based access control and complete activity logging (including system prompts and responses) are maintained even when the network is down. Performance & Availability | Rapid detection of issues via local monitoring at 30 second increments without performance degradation. Sophisticated rules engine takes automated actions to recover network and/or address device faults, performing complex task sequences that normally require an on-site technician. CASE STUDY | Deploys Uplogix in over 1,800 offices and data centers to simplify IOS upgrades and configuration updates, with 24/7 monitoring and automated reporting of issues. CASE STUDY | Sends fewer techs into war zones with Uplogix by effectively troubleshooting issues remotely from their teleport in Killeen, Texas.